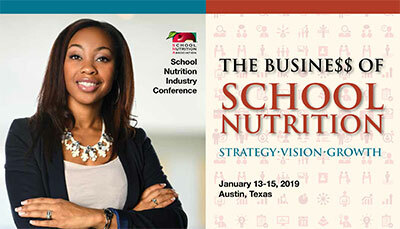 Join us for the most innovative conference in school nutrition—#SNIC19 January 13-15 in Austin, Texas! Get ready for the premier event that brings together school nutrition operators and industry partners for three days of unparalleled learning and networking. A dream team of business experts, including renowned futurist and innovator Daniel Burrus, foodservice trends authority Maeve Webster, and generations and workforce strategy specialist Kim Lear will headline #SNIC19 general sessions. The #SNIC19 schedule features multiple education programming formats including industry-hosted innovative solution sessions, fast-paced Ideas@Work, #OpenSpace social learning, and 60-minute breakout sessions on hot topics. Come a day early to take advantage of these sessions: Tour of Austin ISD School Nutrition Program, Equipment Procurement Best Practices, SNS Credentialing Prep Course and Train Your Staff on Financial Management & KPIs. The Live Music Capital of the World®, Austin is home to 300 parks, memorable menus and world class museums while continuing to gain favorability as one of the nation’s top travel destinations. View the SNIC conference brochure for a preview of the 2019 conference!